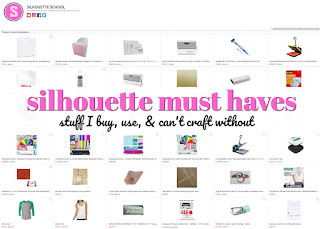 For almost has as long as I've been blogging on Silhouette tutorials, I've been getting asked the question: "How do you put vinyl on tumblers and cups straight?" 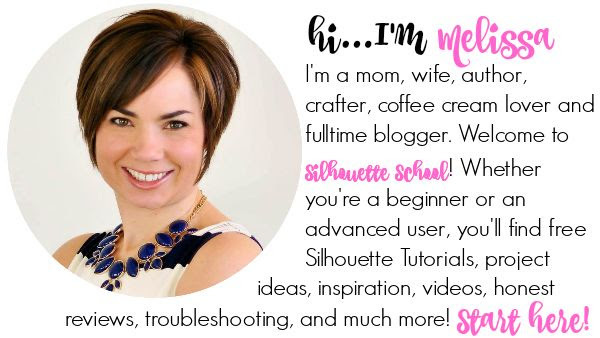 Since I know you're all dying to know - and I am finally comfortable and confident in my own right - (I have struggled with this as I know many of you have as well) I am ready to share a few tips on what has worked for me. Plus I'm going to give you all a really handy cut file to help you get that vinyl straight no matter where it's being placed on a tumbler. So the first thing we need to talk about is why vinyl doesn't go on straight when applied to some tumblers. You can blame the conical shape - being wider at the top than the bottom - for your troubles. When trying to apply a straight line of text to a conical shape it will naturally curve up as shown in the bottom example below. You can see that if the design is created in a perfectly straight line, when applied the ends will be slightly higher or lower than the middle. Bad. Very bad. To counter this when designing, you need to intentionally give the text a slight curve (top example above) so that when it's applied the ends will curve up and naturally even out with the top of the curve. Please note that shapes can't be morphed this way in Silhouette Studio - only text. 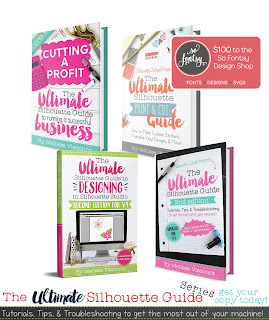 Now, when I say you need to give the text a slight curve I mean very slight...take a look at these designs. They look identical at first glance. But they're actually not. Each line in the gold design has a slight curve to it, while the red design is perfectly straight and aligned. It's more obvious when I turn on the grid lines. Look at the "OO" in Good, for example. You can see the gold "OO" is not quite sitting on the line whereas the red "OO" is since it hasn't been forced to curve. The G is also slightly tilted to the left and the D to the right...that's due to the curve. The curvature is minimal, but it's enough to negate the conical shape of the surface where the vinyl will be applied. Now for how to get that curve. For this design I created the three line text design in three separate text boxes. 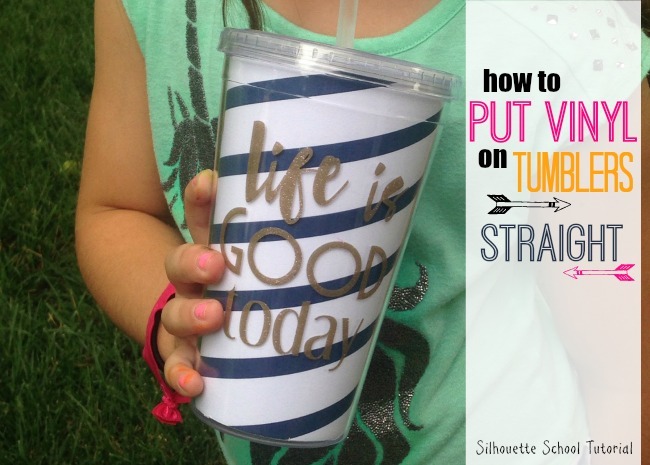 You don't have to, but I think it's a good idea to size the text so it fits on the tumbler before taking the next step. In this case, my design is about 3.5 inches in height. 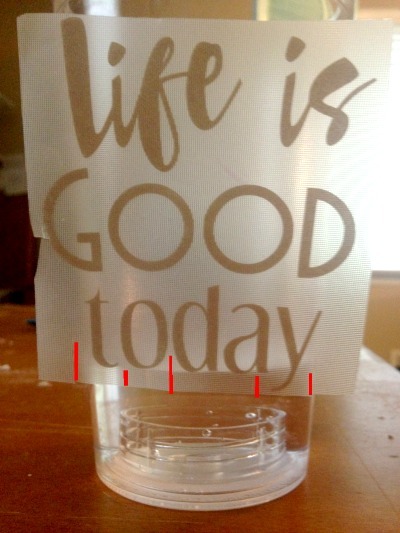 After I sized, I opened this handy dandy tumbler template I have in my library - which just so happens to fit perfectly into a 16 oz double walled paper lined tumbler from My Vinyl Direct - and I put each line onto the curved path. You can download the tumbler template too. If you do, just remember not to resize it at all or you'll change the size of the curve. To put text on a path double click the design until you get the green box around it. Then grab the little directional arrow in the bottom left corner of the text box and drag the text box until it kind of snaps onto the path which in this case is the tumbler template. The most important and final step of this process is to right click > convert to path. This basically freezes the text in the shape of the path and allows you to move it off the path while it still keeps its shape. I repeated this same process with all three lines of the text. Then I grouped the three lines together. The finished result is the gold design you saw in the above images. Now you can simply cut the design on vinyl. For anything that is going to be washed or handled a lot I cut on Oracal 651/permanent vinyl. In this case I cut on glitter gold adhesive vinyl. As I said, I was working with a double walled screw-together tumbler from My Vinyl Direct. 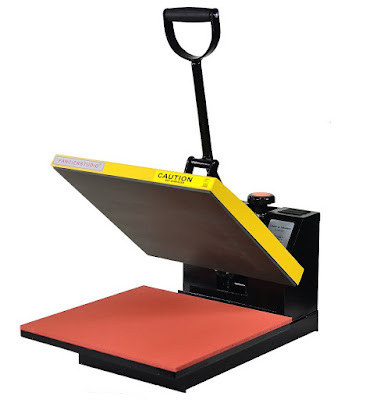 The insert is removable and total customizable. I unscrewed the two walls of the cup while I applied the vinyl and you'll see why in a minute. After the vinyl was cut and weeded I cut off a piece of clear transfer tape. I use clear because I want to be able to see through the transfer tape. I filled the tumbler with a small amount of water. This gives me an even baseline. So now I can match the bottom of my design along the waterline and know that it's perfectly straight - without even measuring (gasp). Cut small slices up from the bottom of the transfer tape toward the design (indicated by red lines in the image to the left). This allows me to slightly manipulate the shape of my design even more if necessary. Just be careful not to cut into the actual vinyl design. And now I'm ready to apply the vinyl to the tumbler...I placed the bottom line right along the water line (this is why I removed the inner wall of the cup, I needed a really clear view of the water line)- this can best seen in the "day" area. Once the bottom is in place I applied the rest of the vinyl design from the middle out toward the edges. 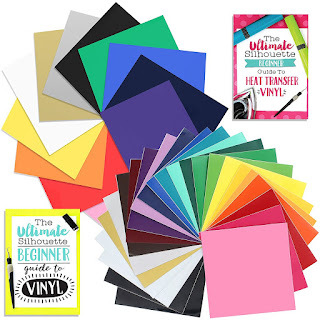 The slight curve in the vinyl, the water line, and the snips in the transfer tape are all essential to helping put the vinyl on the cup straight. Burnish the vinyl onto the tumbler and then peel away the transfer tape. 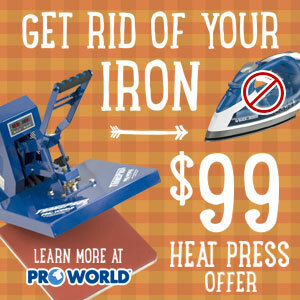 You can replace that insert if you have it, leave it out, or customize it however you'd like. 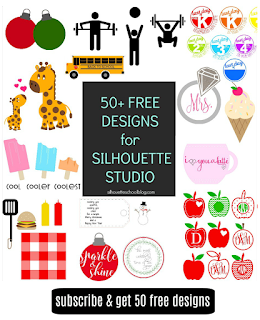 Since you already have the template in Studio, you can even fill it with a pattern in Silhouette Studio and then print and cut it and it will fit perfectly into your tumbler - this way you can change it out from time to time to match the holiday, season or your mood. Can I ask you what font you used for "Life Is"? So you keep using the top curved line only for all three lines of text? No wonder I was not successful at placing vinyl on straight! I made three lines - Top - Middle - and Bottom and put the text on the three different lines, created path and then grouped - could never figure out why it wasn't working...LOL. Thank you for the great tutorial! I want to make sure I follow the comments to make sure I don't miss your answer. Thank you!!! Melissa, can you help me please..... I want to put a name on the "Skinny Tumbler" should I use the template for this tumbler? It is straight and not curved like the others. Do I have to worry the letters being off so much or would it be more off because of the straightness of the tumbler? Please help!!!! I want to make this for a Bride and if it looks okay maybe the bridal party. Thank you!! I could be totally wrong on this but I believe this template works on the tumblers that are not straight up and down. So they have an up and down curve to them that doesn't let letters go on straight. I've not had any issues with getting names on straight with the skinny tumblers and kids cups because they are totally straight up and down. I hope that made sense and helped a little. Is there a way to figure out a curve for other glasses? Was a reply submitted in relation to a curve for other glasses? 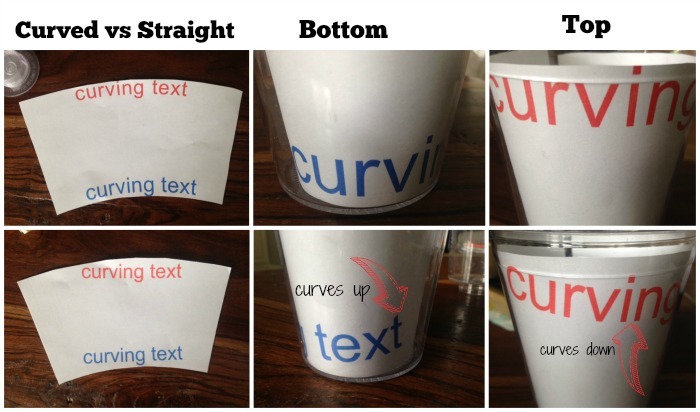 I'm curious how you could accommodate the curves of a vase or pitcher? Awesome and much needed tutorial! Thanks so much for the template! 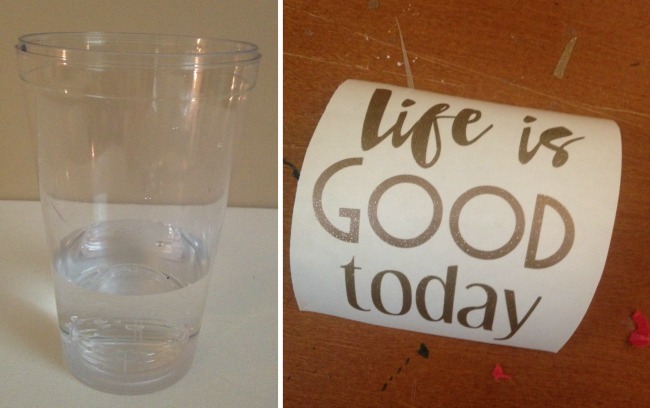 Have you had success applying monograms to tumblers? I was preparing to do cups with my family's kids' names on them for a party when you did this post - THANK YOU! You saved me time and probably lots of frustration. Your template says "Do not resize", but I have some spice jars, http://www.ikea.com/us/en/catalog/products/20152870/, that I want to put labels on. Do you think I can resize to fit these? What to do for an image? We're do u get your tumblers? Is there a way to curve an image??? Hi, how can anybody help me?! How do I put round things on a conical cup? How do you create your own template? I am doing a double wall wine glass and am not sure if the tumbler template will work. Will this same template work for a 20oz tumbler? Thank you! Where is your post about the cups and tumblers? Im having trouble with the download. It says nothing available to open Any help? Excellent. I think I'll make some of these for my husband. It'll be a double present - he'll love the glasses, and also love that I've burned some of my enormous yarn stash. My template doesn't seem to load 3 sections. It's only loading the middle/largest one. Am I missing something?